Ride your mountain bike across more than 50 miles of hand-cut trails overlooking Lake Superior. Thanks to an ambitious project in Duluth, Minn., the epic riding in this city is about to get connected. It was a Friday afternoon, a cool fog lapping at the Lake Superior shores below. 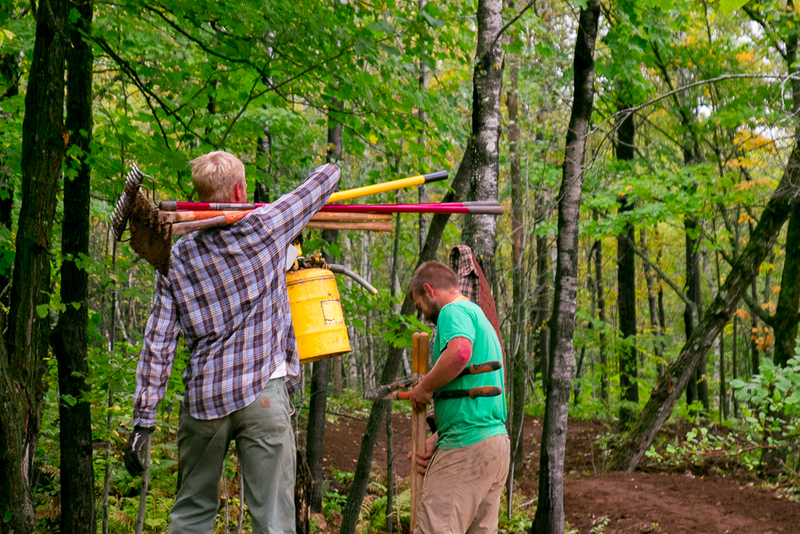 Shawn Miller and his crew were finishing a week’s work on a new section of mountain bike trail that will eventually make up an extensive citywide system. 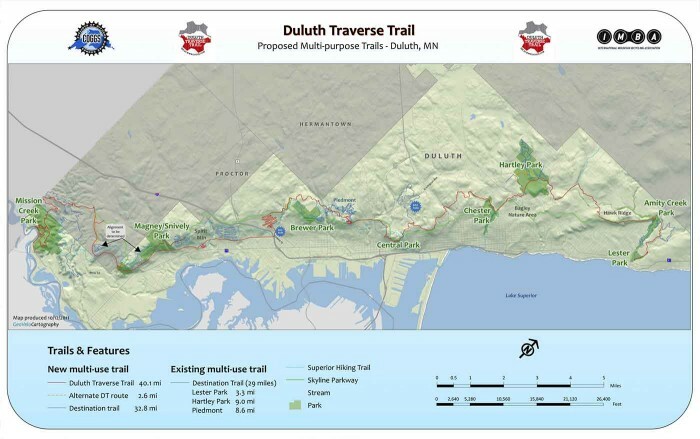 The ambitious off-road project, coined the Duluth Traverse, will stretch across the entire length of the city, connecting from the southwest end of town to Lester-Amity Park in the northeast, where Duluth begins its fade into Minnesota’s North Woods, lakes and forest beyond. The Traverse will be more than 50 miles long once complete, slicing through an urban landscape via parks and green spaces, up and down the hills and canyons that define this northern city. Major sections are rideable now, and the city hopes to have the entire route finished by 2018. In a rare use of public and private funds, the local Cyclists Of Gitchee Gumee Shores employs a full-time crew to construct mountain bike trails, one part of a larger initiative to re-brand the city as a major adventure destination. Excited about the prospect of 50 miles of in-city riding, I strapped on my boots to visit the Duluth project first-hand. 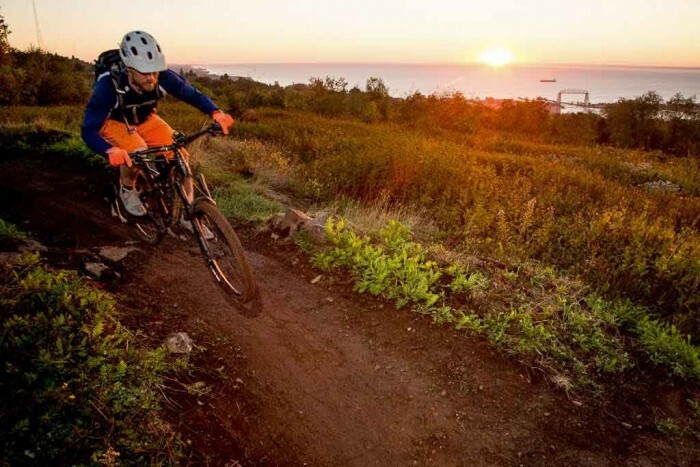 Duluth, Minn., is a major mountain biking destination, recently awarded a rare Gold Level IMBA Ride Center status, and home to five biking trail centers. In total, the city’s trail network offers more than 100 miles of singletrack, from beginner to expert, and with everything from lift-serve downhill at Spirit Mountain, to entry-level cross-country loops. The Duluth Traverse is a cross-town trail that connects all these areas, eventually aiming to reach 50+ miles through and across the whole city of Duluth. Find descriptions and directions to the trailheads via the Cyclists Of Gitchee Gummee Shores (aka COGGS) site, as well as on the MTB Project. Too wet to ride, I’d followed the crew’s freshly-graded tread on foot, picking up red clay with each step as berms, bumps, and switchbacks crisscrossed an old spur of the Superior Hiking Trail. A crew of three to five people, all employees of Cyclists Of Gitchee Gumee Shores, works 40 hours a week to build the trail. The project is funded through private donations, grants, and a tax windfall that’s routing millions of dollars to Duluth’s outdoor-recreation infrastructure, including State money and Federal Recreational Trails Program funds matched by Duluth. The city government assists in gaining grants for trails and it works as an overseer to ensure trails are built to standards. 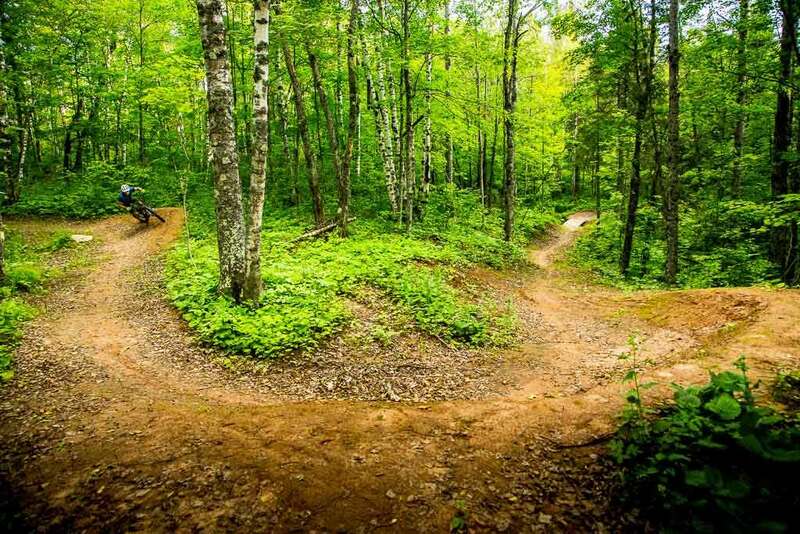 The International Mountain Bicycling Association (IMBA) has been involved in the project as well as the Minnesota Land Trust, which is working with Duluth to “protect and promote the city’s nature-based recreational assets,” as the organization puts it. 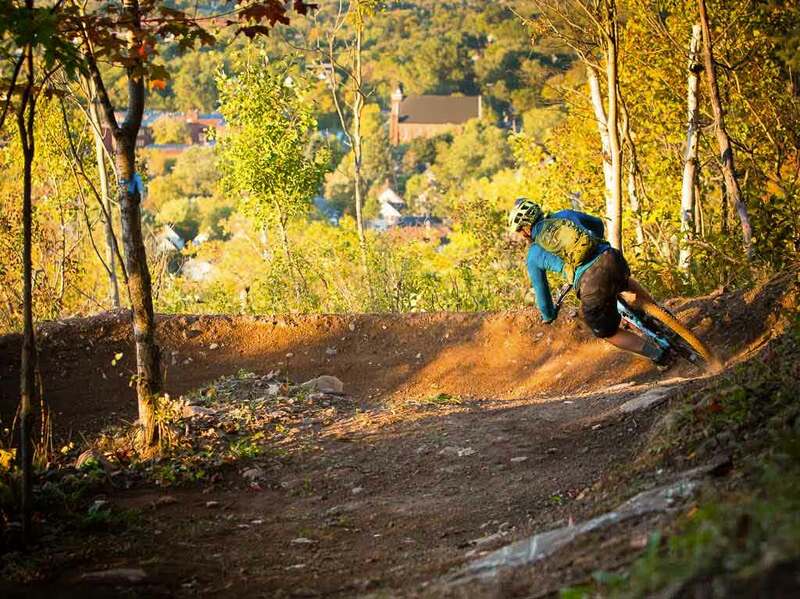 Mountain biking is a major focus, perhaps the most visible recreational priority in Duluth, where rock climbing, kayaking, trail running, skiing, hiking, and other outdoor sports all take place within city limits. 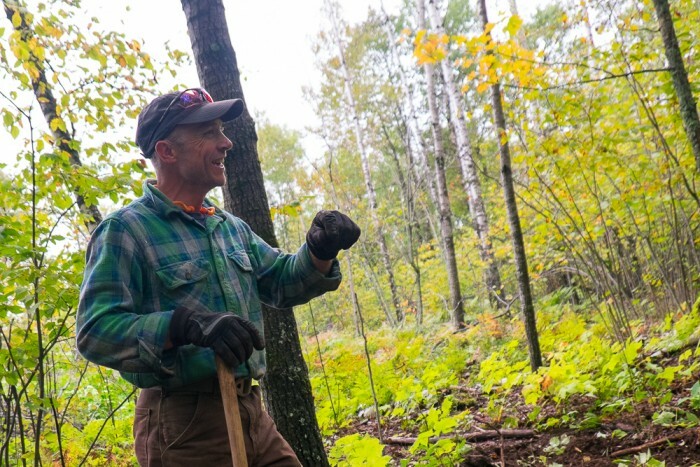 Hansi Johnson, who formerly worked with IMBA, is now the Director of Recreation Land for the Minnesota Land Trust, where he serves as a liaison between the grants, government, volunteers, bikers, and the people who get dirty and put shovels into the ground. Situated on Lake Superior, but connected economically to the forests, paper mills, and mining industries of Minnesota, Duluth is a port town with a North Woods soul. Economically, there have been better times, with a two-decade decline in population and jobs abutting the recession starting around 2008, which hit industry-heavy towns like Duluth harder than most. Outdoor recreation, including mountain biking, is seen as one saving grace. With huge hills, forests, and terrain with exposed bedrock and cliffs, Duluth offers a platform of rugged wilderness in town. That’s where the trails are getting built. 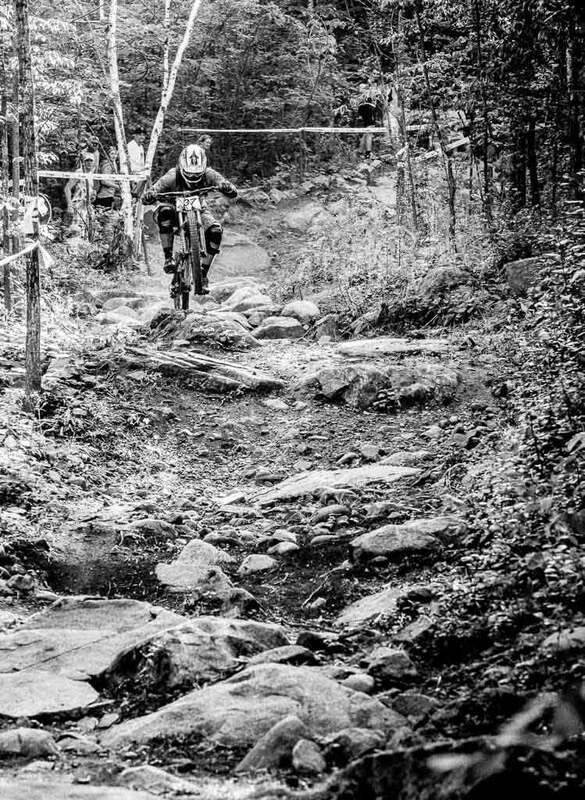 In total, the city is aiming for more than 100 miles of singletrack inside its boarders. Lake Superior is in view for much of the trail. So are houses, industrial sites, bridges, radio towers, and Duluth’s downtown skyline. But trees, river canyons, and a rugged topography also hide the sounds and sights of the city at turns, giving the feeling that you’re in the wilderness even though roads and neighborhoods are nearby. Back with Shawn Miller and his trail crew, I hike ahead on an unfinished flank. A new path is marked out with orange flags that indicate the city-approved line. The crew has latitude to divert from that line, 25 feet to either side, allowing them to make changes based on natural features, sustainability, and trail flow. Miller is the foreman of the full-time staff that looks, from a distance, like a department of transportation road crew or workers digging a gas line. But their sole focus is recreation and the quest to build the perfect trail. Machines do the heavy lifting at the work site. The Canny-Cam, a little dump truck on tracks, can move hundreds of pounds of rocks and dirt around the work area. “It’s a little tank!” Miller exclaimed of the hydraulic marvel. 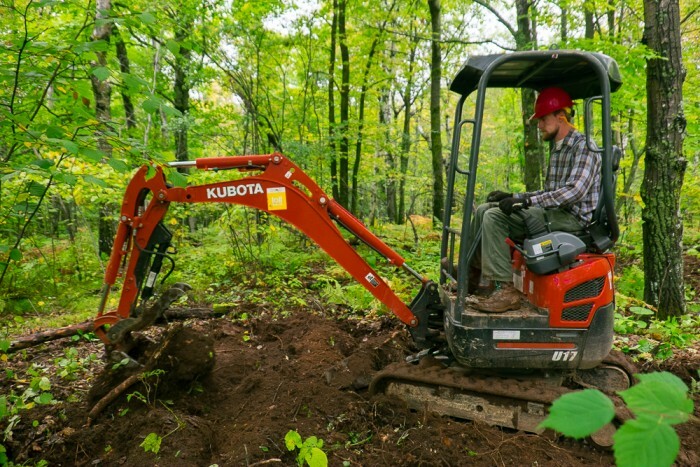 A small excavator with a plow breaks ground so that the top layers of grasses, roots, and rocks can be pushed aside. It then backfills soil into the trail bed, creating the canvas for new singletrack as it goes. 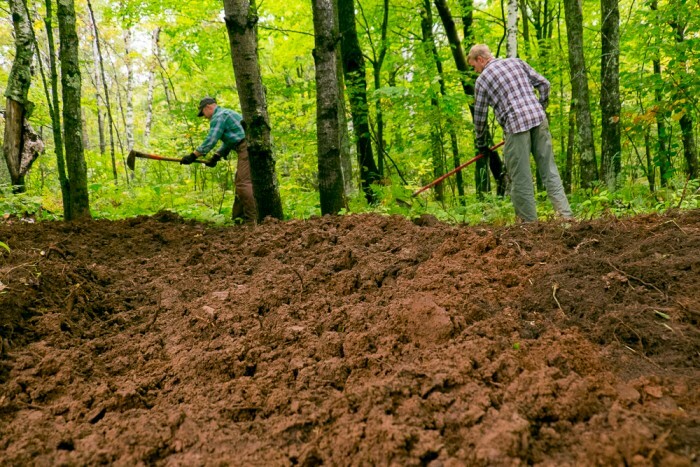 Workers with hand tools finish the job, sculpting the trail to its final shape using rakes, hoes made from the discs of farm cultivators, and tools like McLeods and Pulaskis. A compactor tamps down trail, providing a nice riding surface, reducing erosion, and preventing plant growth. The result is bermed, flowy singletrack winding through aspen and pine forest. At this point the crew is finished to a degree. But, once open, rolling mountain bike tires provide the final buffed-out finish that puts the icing on the cake. The work comes with its challenges and hazards. This year, the crew labored on the steep Hawks Ridge area before moving to a wet but more workable connecting trail in September. “Hawks Ridge was exceptionally rocky, steep, and, at some times, dangerous, given the position of the machines,” Miller said. The area the crew is working now was soaked by heavy rains in August, leading to additional work. “The moisture really started to affect the soil type, and it delayed us,” noted Miller. It forced the crew to adjust and add more rock as ballast material as well as installing additional wood boardwalk to the route. The crew works with the weather, and they don’t stop until Minnesota starts its seasonal shift. “I’m anticipating a strong season yet this year,” Miller said in early October. In addition to occasional photojournalism, Bjorn is gearjunkie.com's Director of Design & Development. He rides bikes, enjoys cold beverages, and lives in Minneapolis, Minnesota.